I get this excited when it comes to an elaborate breakfast on a weekend without me slogging in the kitchen. And nothing in my rule book is more perfect than a brunch on Sunday morning...you can laze around as much as you want after having tea and something light and work up that appetite for a delicious spread. So The invitation from Buzz OF Taj Gateway Kolkata seemed perfect for a lazy brunch on a rainy Sunday. The food at Buzz is always delightful. 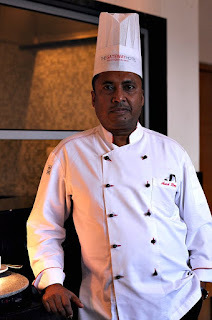 I have been attending their events since the day they started operation and Chef Ashis never fails to impress guests with his delicious inventions. The occasion this time was the Launch of new addition to their usual Sunday Brunch spread. 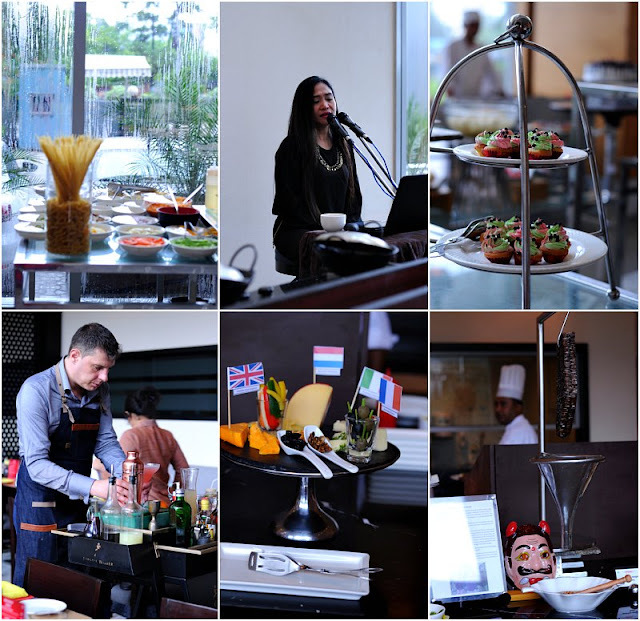 The idea behind the Brunch was to give the diners a wide spread choice with food from across the globe over live music for a laid back satisfying meal. Following which they have added more options to the Menu, most of which have live stations so that you can watch when your food is being prepeared. The Belgian Waffle station is the most exciting new addition to the menu. To drizzle over the waffles, they have got huge beehives directly from Sundarban. The wild mangrove honey gets collected drop by drop in a bowl for you to add on your chocolate or vanilla waffle. The taste and aroma of the honey is nothing you might have ever tastes, a perfect example of as fresh as it can get. Apart from the honey they also serve the waffles with maple syrup and whipped cream. I loved the light yet warm waffles with the honey. The Cheese platter and cold cuts are another new additions. 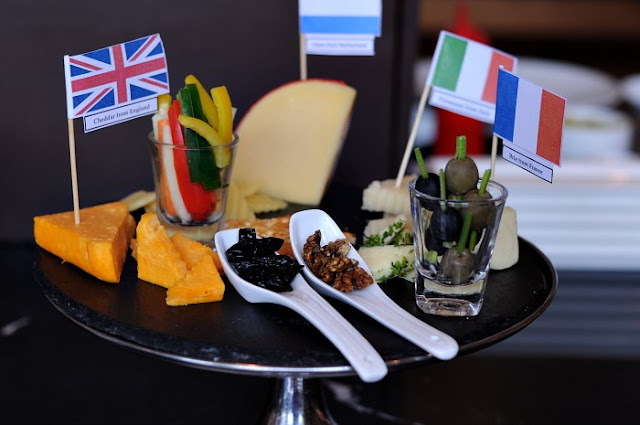 With imported cheese almost from all continents could be the best starter of your meal. 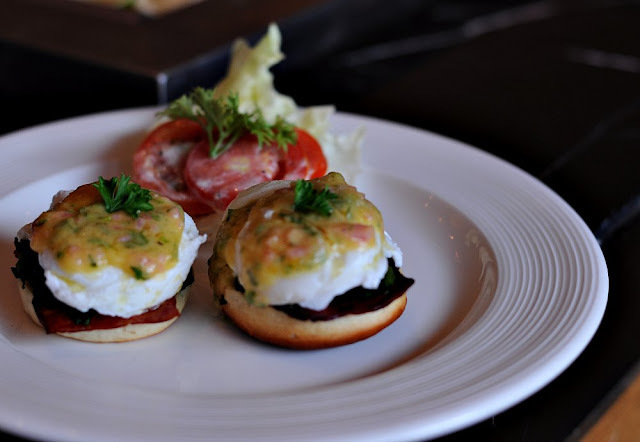 The Eggs Benedict station seemed most busy and the chef will poach the eggs, warm the english muffin and assemble the benedict with fresh holandaise sauce as per your liking. 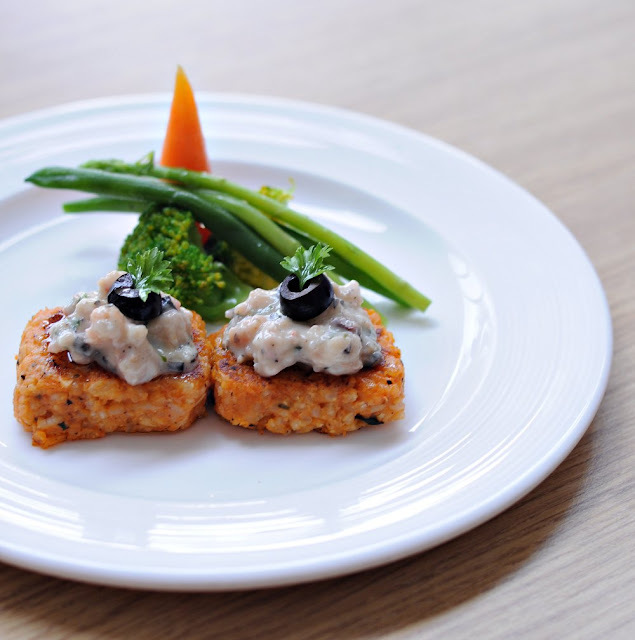 The slight smokiness of the dish definitely a high point that goes so well with the slightly tart yet creamy sauce. 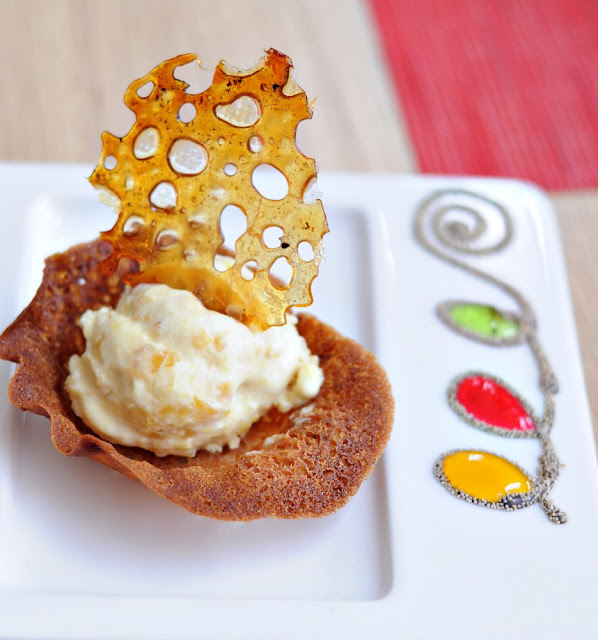 ice creams which is creamy and delicious and the bonus point is how they present it in a small tuile bowl. It's art on plate. Without much hesitation I can also say they serve the best appams in town. The Chef at this station knows his craft and doles out cotton soft lacey appams for every order. The spongy in the middle and slightly crisp on the edges appams are served with a spicy egg curry and vegetable stew. 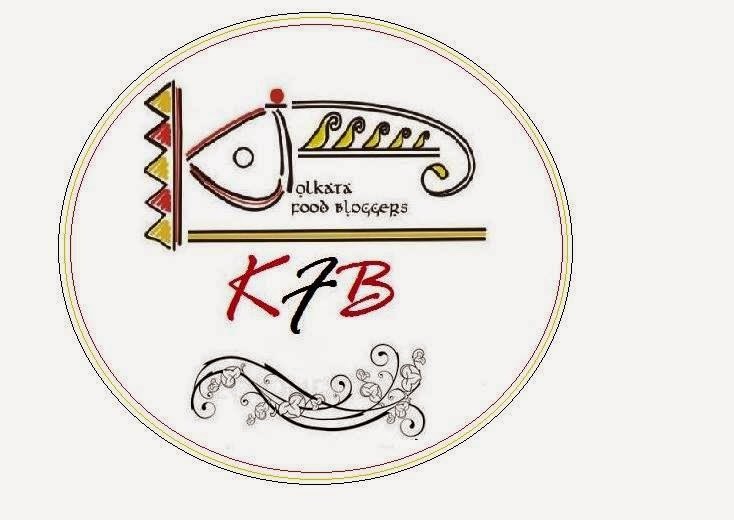 They also serve dosas and appams as per order. 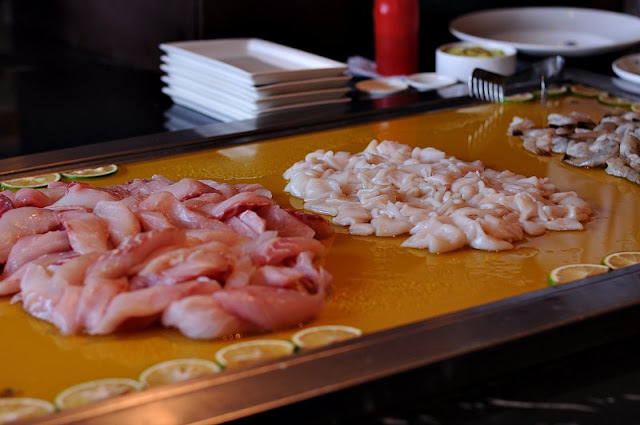 The grilling station has some of the city's freshest sea food produce. The grilled prawns and squids were the perfect for me to start my meal. Or you can also opt for the live Chat stations assembling varieties of chats to start your meal. I also loved the colourful stir fry stations. 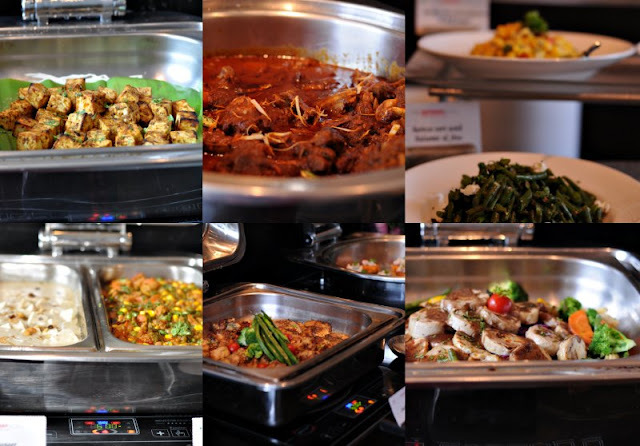 With your choice of veggies and proteins they makes South East Asian style stir-fries for a wok to plate experience. 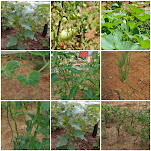 Apart from these new additions there are these usual rice preparations, North Indian style curries and Dals, Bangladeshi Roasts and pilafs, Bakes veggies, proteins, Italian dishes, Fresh in house baked bread baskets, Tandoor items including varieties of breads, Salads, Cold cuts, Pastas and Risottos and a huge Dessert Section. This Risotto bites with cheesy toppings was really good. 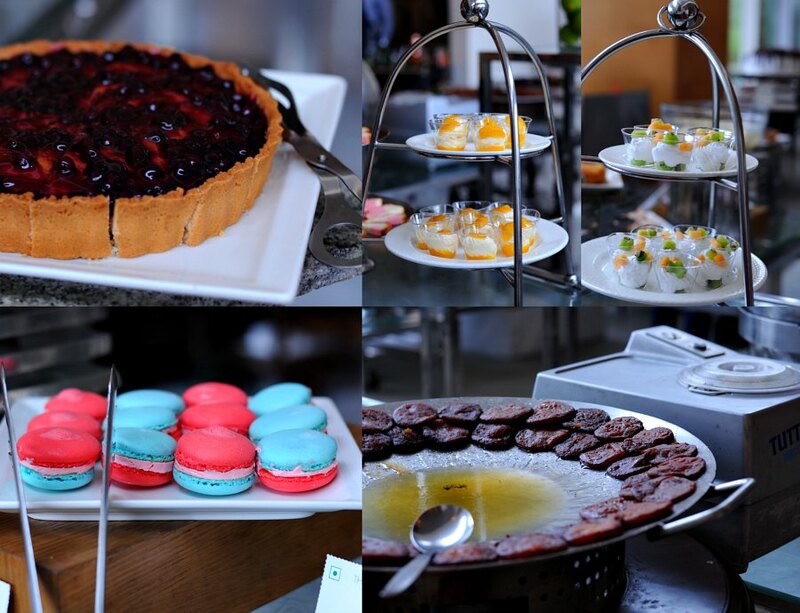 I always leave some place for dessert and the buffet spoilt me for choices. 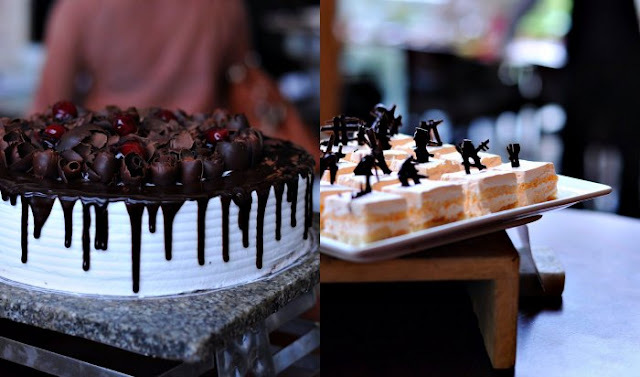 From various types of pastries, Indian mithais, Mousse, Cakes, pies, tarts, puddings I literally felt like a girl lost in the candy store. The Indiana James puddings was a new thing for me and loved every spoonful of it. The Hot syrup soaked malpuas with Rabdi was another favourite. If you like to accompany your meal with some cocktail then opt for that and get your favourite cocktails made at your table. Otherwise the meal comes with a complementary virgin mojito. All in all honestly it was a beautiful meal, enjoyed over melodious music and rain through the huge bay windows. If you have time, head over to Buzz till the monsoon lasts. The Buffet is available on Sundays only. 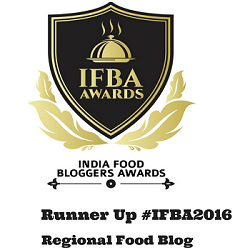 I was representing my team Kolkata food blogger for this event.